Welcome to Criterion Close-Up with Aaron West and Mark Hurne. It is hard to believe that the day has almost come, but we have decided to launch the podcast earlier than expected. We did a test run over the weekend on The Rose, which is actually going to be implemented into our second episode. Even though it was a rough run, we felt it was good enough to get started. We’ve been working hard behind the scenes. You may remember from the prior post that we were undecided about the name. The majority voted for “Criterion Collective,” which we liked very much, but that was too close to Moisés Chiullan’s “Criterion Collected,” which was on hiatus, but I am told is coming back soon (and I am looking forward to it!). We have an August schedule already posted over on the Podcast page. Keep an eye there as we’ll be posting archived episodes, upcoming episodes, and films that we plan on covering soon. 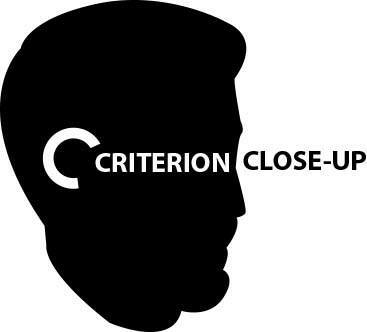 This month we’ll have a “Criterion Close-Up” episode, which will be a regular monthly episode where we do not talk about a specific film. Instead we’ll talk about the recent releases, and usually some other related topics. This coming episode is on Broadcast News, but it is on much more than that. We want to go beyond the film with our casts. We’re going to look at the film in-depth, plus we are also going to look into other films from the 70s up through today where the news media is portrayed, sometimes positively, sometimes negatively. Other films that we’ll be talking about will be Network, All the President’s Men, Good Night & Good Luck, Nightcrawler, and yes, even Anchorman, in addition to a few more. We think it is a ripe discussion topic and we expect a quality episode for our debut. While this first month will just be Mark and myself, we do have some fascinating special guests coming around the corner. We’ve already lined some up in September and October, and the list of people who want to be involved is long. Posted on August 4, 2015, in Criterions, Film, Podcast. Bookmark the permalink. 10 Comments. Funny you mention that. We’ll tackle Close-Up one day, and a guest has already claimed that slot. We joked that it would be the last one we cover, but we won’t tease you guys that long. When do you expect the podcast to show up in iTunes? And, what length do you expect each podcast to be? We expect it to take up to a week to get approved by iTunes. We cannot speed that process up until we submit an episode. You’ll still be able to listen once we posted by clicking the link from the blog and I believe that will load it in iTunes. We expect each episode to be roughly 1:30. The Rose episode was about 40 minutes without the subtopic, although we may record one later. Some might be shorter, some longer. Depends on the topic. We want to keep a consistent length but want to balance that with good coverage of the topic. We hope you enjoy! I came across your site through your review of Where is my Friend’s home on Wonders in the Dark. I am a big fan of Criterion too and look forward to reading more from your blog and yes to listen to your podcast too. Hey Krunal, thanks for clicking through! I think I’m writing 3 or 4 more pieces for Sammy this fall. Hope you’ll find my stuff interesting here and there. I will be checking out your show once a few episodes get posted. I love this idea for a show. Can’t wait. Thanks, Vern. My recommendation just based on what is on the schedule is to wait for episode 3. That one will be a crowd-pleaser for anyone who likes Criterion.